In the third Showmax Original, Skhumba visits the hometowns of some of our country’s finest stand-up comedians in a fun show that’s just as much about travel as it is about comedy. Mashabela Galane is one of his featured comedians, and here Mashabela lets us in on what we can expect from the episode that’s all about him and his hometown. Mashabela needs no introduction: he’s the brains behind Comedy Under The Sun, one of the biggest annual comedy events in the country. Born in Moletjie, a village outside Polokwane, Mashabela has an Honours in dramatic arts and media studies from Wits and has his own brand of gin called Moringa Gin, made in Limpopo using the Moringa plant. 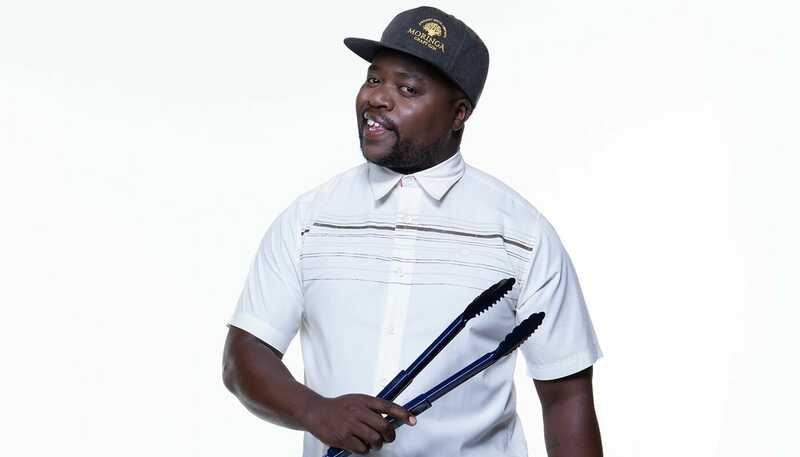 He’s one of SA’s most in-demand vernacular comedians, doing shows in Pedi to packed audiences, and he’s even been nominated for a SAMA for Best Kwaito Album. You are one of the fathers of vernacular comedy; how did it all begin? In Trippin With Skhumba, we’re going back to the village where I was born. I’m not from the township; I’m a village boy. I used to be the head boy! We might go back to my school, just to inspire them. Last year I walked from Joburg to Limpopo, to raise funds for disadvantaged kids. We passed five towns and stopped in each town. In Hammanskraal we stopped at a centre and donated food and clothing. In the next town, we donated money – it all depended on the needs in each town. I spoke to my chief and they started an education fund, so when I arrived at my place, we launched that fund. Then I did a comedy show, and the money raised went to the fund. What do you think it’s going to be like going home with Skhumba in tow? It makes me happy to take someone that I work with to see where I grew up. Life in townships and rural areas is very different. My grandmother was very strict; I used to look after cattle after school – that was my life. We didn’t have facilities where you could go and expose your talents. So if there aren’t any facilities, you’ll never know how talented you are. The only sports were soccer and netball. Yes, with this body [laughs]. That kind of environment, it shapes you and it makes you tough. One thing I’ve realised about people who come from rural areas is that once they get to Joburg, they work so hard because they don’t want to go back. And you WALKED back! How far was it? It’s 350km. Every time when I drive back home, I always remember walking that road. One day I’m going to tell my kids about it. When did you realise you have a talent for comedy? After high school, because we didn’t have drama or anything like that, I went to Wits to study. It’s something that I always wanted to do. I studied art for five years. You need to know the business side of things too because talent is not enough. Tell us about your shows. Black people aren’t really about that theatre life, but for comedy, they’ll go to theatres. Most of the shows that I do with Skhumba are always sold out. I filled up an arena with 8 000 people last year, without a sponsor or any media partners. It’s just the power of social media! Mainstream comedians have sponsors, but we [the vernac guys], we’ve got numbers. Who’s going to be navigating on your road trip with Skhumba? It depends, are they going to allow us to drink? Only the navigator? Someone else is going to have to drive! I can’t wait. Skhumba and I are always busy, and back in the day, we’d see each other all the time. Now we have a chance to catch up. It’s going to be great.